Happy Tuesday Everyone! 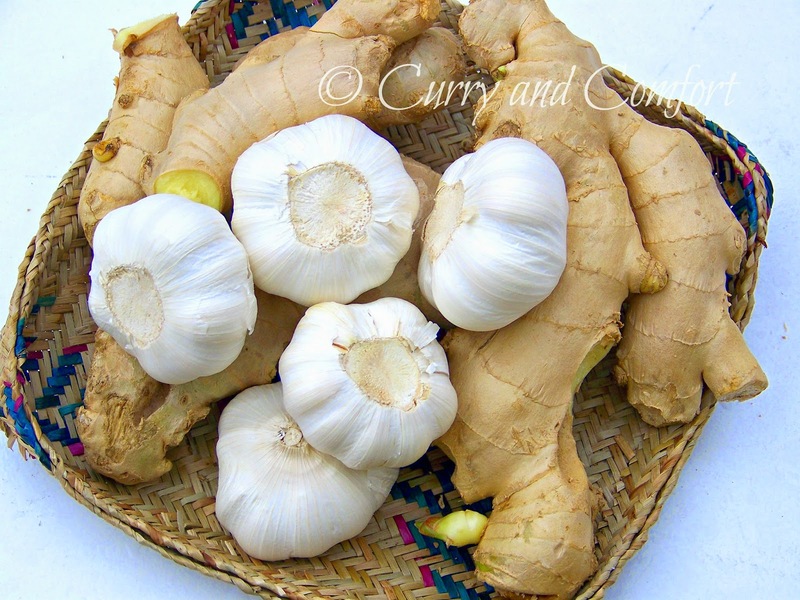 I love to cook Asian foods and most of the time these foods require a combination of ginger and garlic. Fresh ginger and garlic always gives the best taste, but sometimes when you're rushing to get dinner on the table it's one extra step that I dread. I seem to always forget to have these two items prepped when I'm getting my ingredients out to cook. So having a pre-made ginger garlic paste in the fridge ready to go is so incredibly handy and time saving. I just open a jar and spoon out as much paste as I need in a dish. You can buy prepared ginger-garlic paste at some stores, but I find them lacking in flavor. Plus I feel like I'm paying a premium for the convenience. Buying my own ginger and garlic and whizzing it in the food processor with a little bit of canola oil easily gives me the fresh, flavorful paste for a fraction of the cost. *Note: I don't want to give actual amounts here because it all depends on how much you cook with ginger and garlic. I use it so many Sri Lankan, Indian, Thai and Chinese dishes that I used 2-3 blubs of garlic and about a pound of cleaned ginger and 1/4 cup of canola oil. This should last me about two weeks. I usually use about 1-2Tbs of this mixture depending on the dish. Directions: Put all items into a food processor and blend until smooth. Store in an air-tight container in the fridge for about two weeks. Hope this helps make your cooking a littler easier. Here is a bonus cooking tip to using ginger. 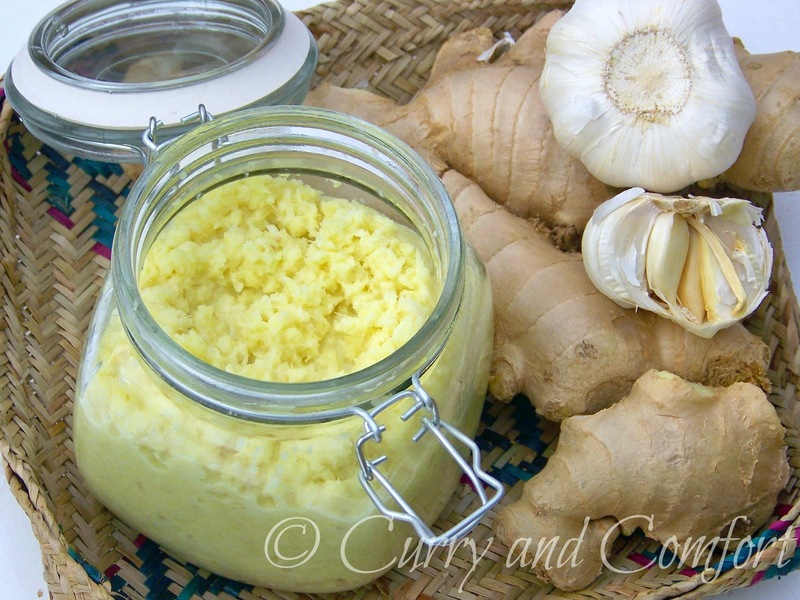 If you buy a lot of ginger and want to save it for a rainy day don't put it in the fridge. All you have to do is clean the ginger, cut it into 2-3 inch pieces, put in a plastic food storage bag and freeze it. I freeze pounds of ginger at a time and just take it out and use a micro-plane grater to grate the ginger into any dish I need it for. Your ginger will last for months in the freezer without any problem. 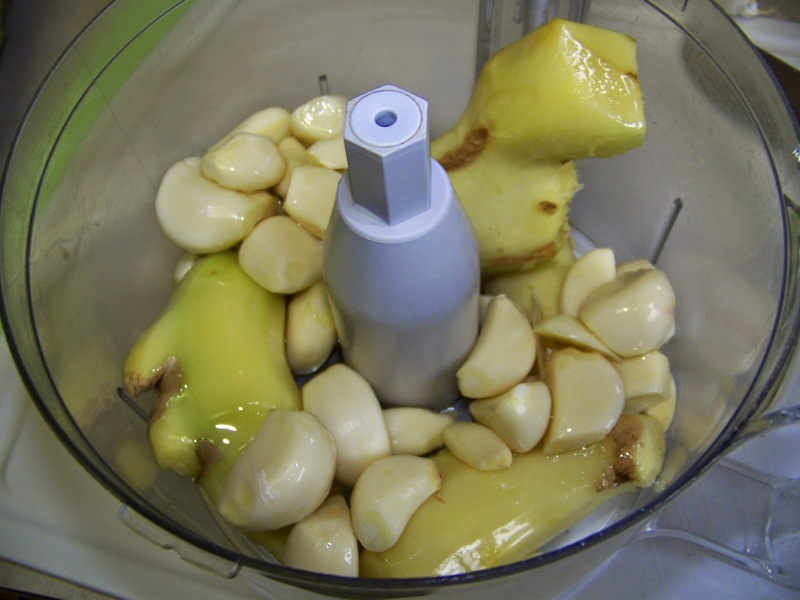 But it is best to use fresh (never frozen) ginger to make the ginger/garlic paste above. What a terrific staple to park in the fridge! And I need to start freezing my ginger, too! Great tip. Freezing ginger is a great idea, thank you! I've tossed way too much of it down the drain. There is not too much people like Ginger-Garlic Paste..however, It's really good taste! I have seen some healthy recipes that using Ginger-Garlic Paste from Meal5.com - one of healthy recipes website I usually check out. 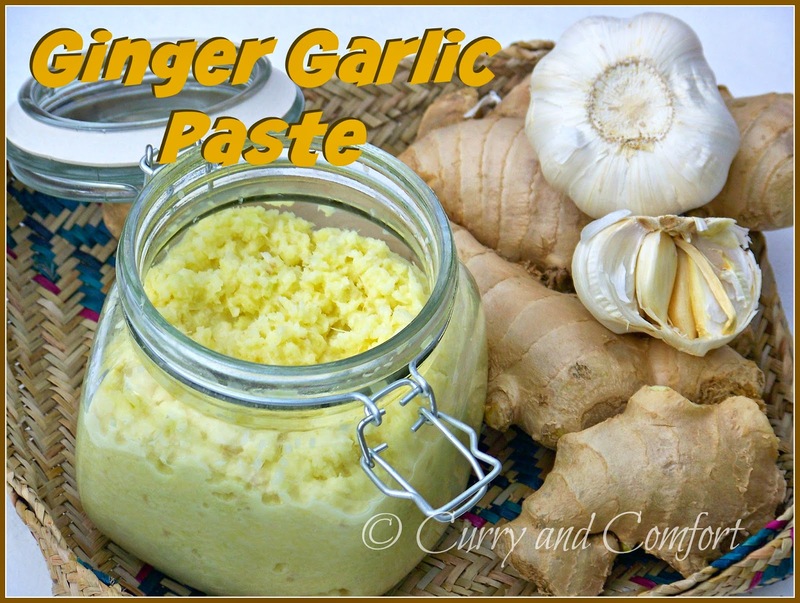 Its really good for me to see this Ginger Garlic Paste and I think its easy and daily base need at home to use in every <a href="http://zoonicookingrecipes.blogspot.com/>cooking recipes</a>. Thanks for sharing these type of tips and methods that are actually needed!